There are things in life which will always go missing, despite our best efforts to keep them safe and to hand. 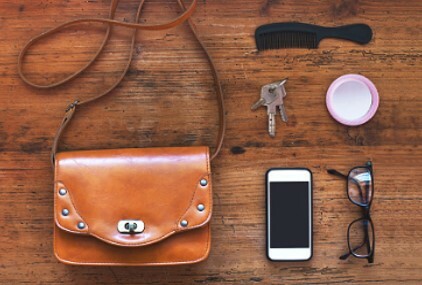 These are things like your keys, your wallet or purse. It’s a problem that people have agonised over for a long time, and many have deliberated on different ways to fix the problem of losing these important items, trying to ensure that it doesn’t happen. One of the best ideas that has been thought of is the creation of a tracking device which allows you to remotely track household items like keys, wallets, phones and bags by way of transmission from one device to another. One of the biggest advantages of using a tracking device to find your valuables is security. For example, if you left your keys lying around and they were picked up by an unlawful person, they could use them to enter your house and steal things or drive your car away. With the tracking device in place, the moment you lose your keys you could easily locate them again and avoid any expensive replacements or time-consuming searches to find them again. Losing your wallet or purse is often equally devastating, if not worse. Most people carry their credit cards on them at all times and usually have a small amount of cash too – so losing either your wallet or your purse would mean having to phone the bank to cancel all your cards and in the worst case scenario fighting a fraud claim with your bank because someone has unscrupulously taken money out of your bank account. Another reason to own and use a tracking device is so that you are able to get on with your day to day jobs much quicker. Everyone is juggling a number of tasks in their everyday lives so finding the things most important to them is vital for them to be efficient. If someone misplaced their wallet and then had to go to the shop to buy some food for lunch, the amount of time spent trying to find their wallet would delay other things scheduled in their diary later in the day. When you misplace and then find your wallet, phone or handbag it gives you a sense of relief as you feel safe and secure in the knowledge that your most prized possessions are with you. But flip that on its head and in the moment you lose your possessions anxiety, apprehension and self-doubt creeps in; “What if I have lost my phone and I can’t call my mum”; “What if I have lost my bag and I can’t find my glasses”; “If I won’t be able to find my monthly travelcard I won’t be able to get to work” – these are all questions that prey on people’s minds. So using a tracking device to find your valuables becomes even more important and will give you peace of mind. Everyone in the world wants to enjoy themselves throughout their lives and as much as possible. That is why phone companies have invested heavily in new technology to provide their customers with interactive media, games and apps on their phones. So when someone misplaces their phone for whatever reason, their moment of fun diminishes as they can no longer enjoy the interaction they have with their phone. Again, this is when a tracker device comes in really handy as one can know instantly where there phone is and then they can have fun and enjoyment straight away after. There will always be times when at one point or another we will have a momentary lapse in concentration and end up with that panicky feeling of having lost something important to us. That is why having a tracker device can ensure that you will always have the things important to you, close to you. It will act as a great stress reliever and can create a feeling of calm and relaxation, acting like a safety net and will bring you peace of mind. Overall, the advantages of using a tracking system to keep track of keys, wallets, purses, phones, bags or other important or valuable items is clear. Which is why the Loc8tor tracking device is the only obvious choice and you can be sure you’ll enjoy better peace of mind from the moment you start using it.